(PRLEAP.COM) February 5, 2014 – Vancouver, BC. WerkMaster is pleased to announce Home Depot Tool Rental Canada has now expanded into BC, Alberta, Ontario and Quebec with WerkMaster products. Expansion into additional provinces is planned for 2014. 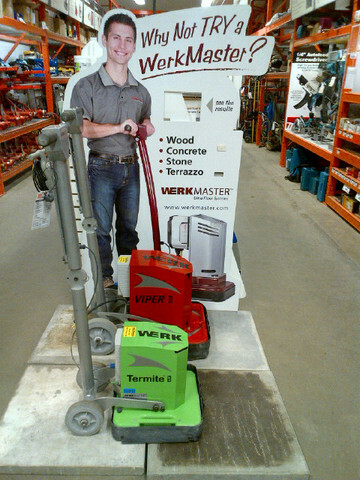 Each store offers the Scarab, Termite XT and Viper XT model of WerkMaster's leading brands of concrete and wood floor prep machines. WerkMaster's can be used for removing glue, mastic, paint, epoxy, thinset, as well as polishing concrete, stone and terrazzo floors. Additionally, they can sand and refinish hardwood floors, safely remove carpet glue and paint from hardwood floors, remove paint and stain from wood decks, profile or flatten raised aggregate decks and patios. No need to rent a buffer or burnisher as they can burnish, buff and screen all hard floor surfaces. Every WerkMaster model is Seven Machines in One; grinder, edger, polisher, sander, buffer, burnisher and stripper. The added advantage is all models can edge to within 1/8 inch or 3mm of a wall, while the Scarab is design to edge right to the wall and can be used on countertops, stairs and hard to reach areas. All models are designed to run on 110 volt power outlets and are light enough to easily transport and mobilize. Aggressive enough to satisfy the demands of professional contractors while being easy and fun to use for Home Depot's DIY customers. 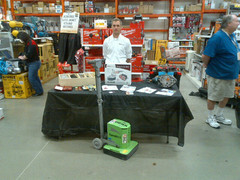 "This is an exciting opportunity for WerkMaster," stated Brian Wilson, President of WerkMaster. "Initially we focused on providing solutions for concrete surface preparation and concrete polishing, we will be adding solutions for wood deck restoration and hardwood floor finishing addressing the spring renovation season." 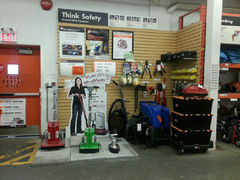 Please visit http://www.werkmaster.com/rental-locations for Home Depot Tool Rental locations where WerkMaster equipment can be rented. WerkMaster™ is proud to be one of the most innovative and effective manufacturers of award winning concrete surface preparation equipment, stone, terrazzo and polished concrete equipment as well as hardwood floor refinishing machines. WerkMaster's Ultra Floor Enhancement products deliver unmatched quality and performance guaranteeing protection from staining and etching for up to a minimum of 24 Hours before having to clean the surface while providing a Slip Rating of 7 on the James Scale. "We are constantly looking for ways to improve our technology" stated Wilson, "moving forward in the industry with a goal of providing the best possible solution to our customers. Home Depot and WerkMaster are equally dedicated to providing our customers with superior customer service and improving on our commitment to them."